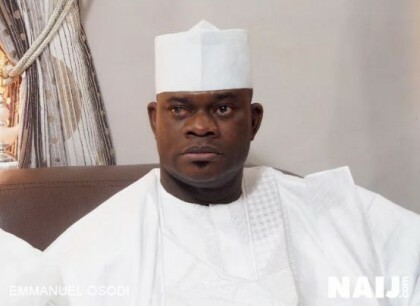 The Agricultural Core Delivery Team (CDT) of the State Partnership for Agriculture (SPA) says its projection is for Kogi to attain annual production of 20 million tonnes of cassava by 2020. Mr Thomas Agene, the Secretary of the CDT, said this at a meeting of the CDT organised by Synergos Nigeria in Lokoja. Agene, who is also Assistant Director (Crops), Federal Ministry of Agriculture and Rural Development (FMARD), said that the feat would be achieved through the adoption of mechanised cassava farming procedures. “We want to use small machines and do away with the traditional hoe and cutlass (hand tools), cassava planters and cassava harvesters. Our projection is to hit 20 million metric tons of cassava production by 2020. “When the tractors are available and the land is available, the farmers would be more capable with a few persons trained on how to handle the machines. “The 100 percent farm mechanisation will engender a radical boost in cassava production,” he said. Agene called for the establishment of dedicated cassava seed material farms across the state to boost the production of planting materials so that farmers would not run out of cassava stem cuttings after dry season harvests. “If we want to achieve stability in cassava production, consumption and processing, with the magnitude of industries that are coming up, we need to have farms that are mainly for seed material production. “For the farmers to have their seed, it is best to uproot during wet season so that they can have their planting materials but it is more profitable to uproot during the dry season when the prices are up,” he added. Besides, Agene said that the Federal Government had made available chemicals and simple processing machines, including water pumps and sprayers, which would be sold at 50 per cent subsidised rates to smallholder farmers.